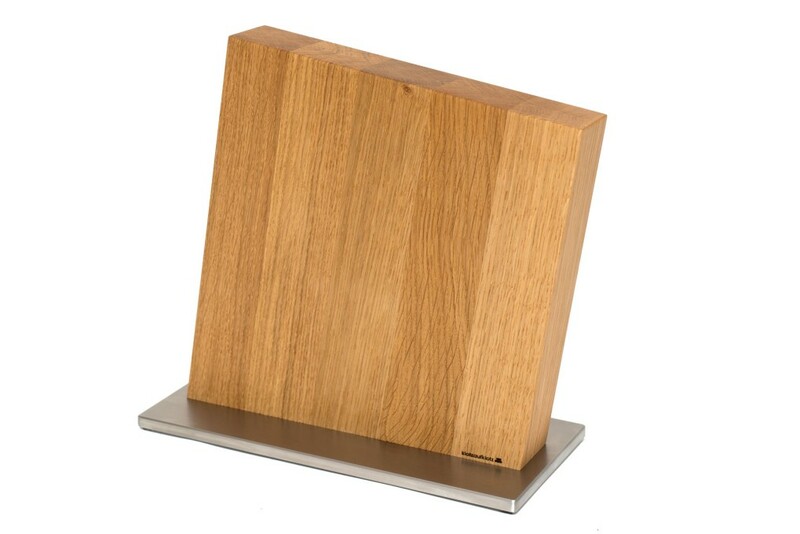 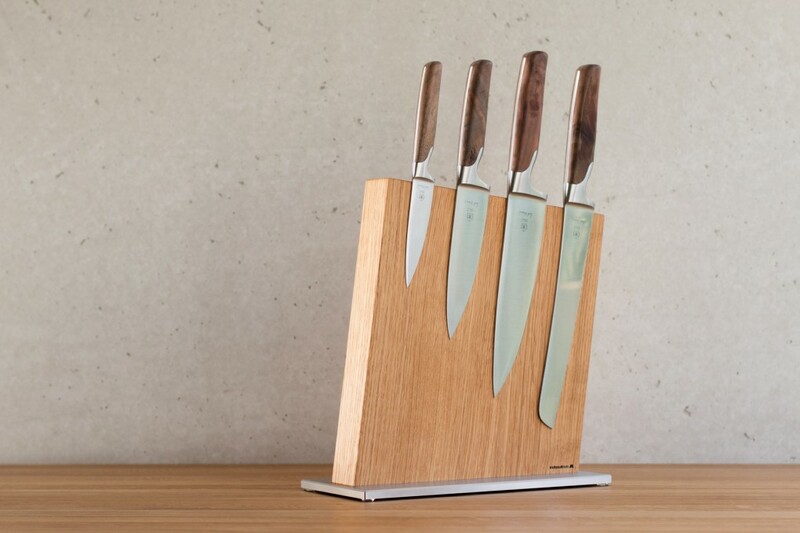 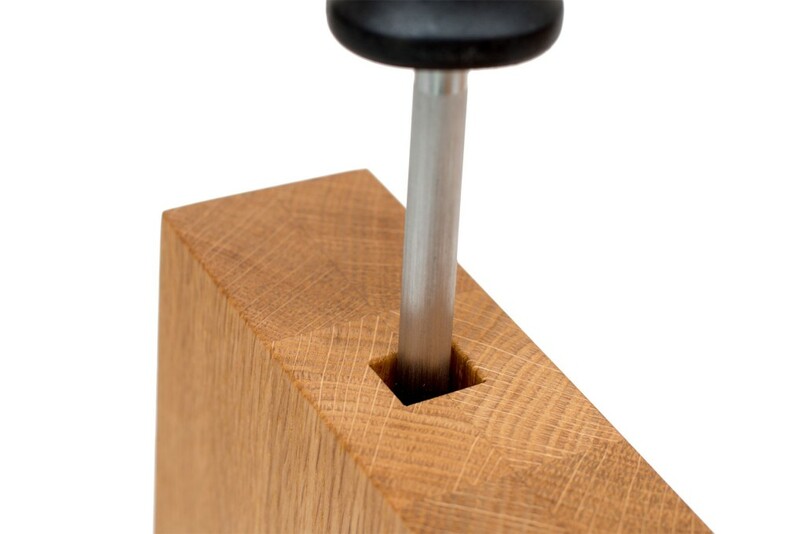 This great knife block made from solid oak wood holds space for up to eight knives. 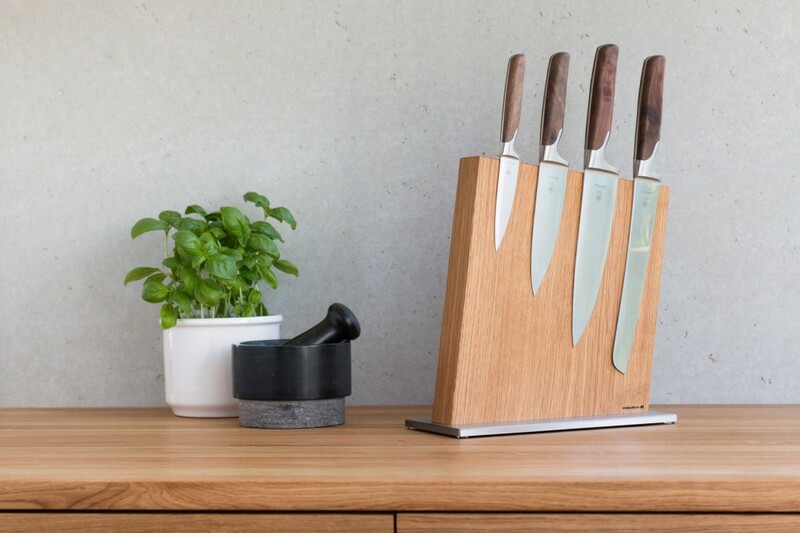 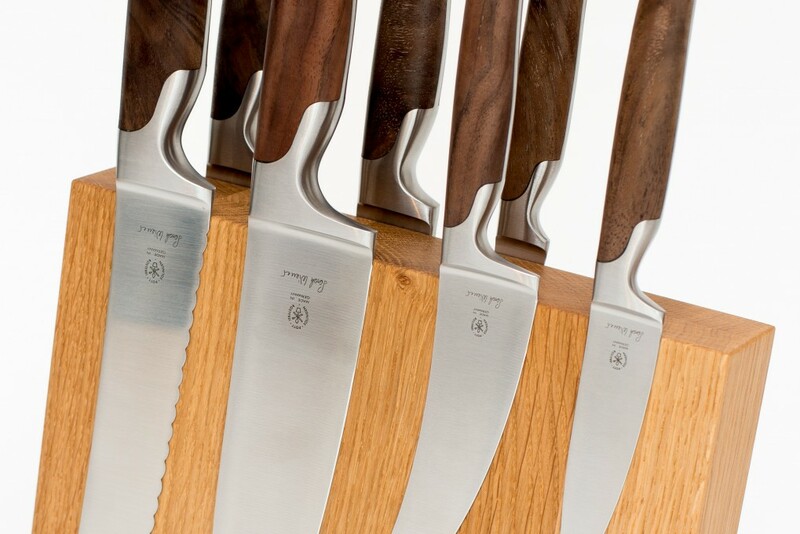 Each knife has its own spot due to the placement of strong magnets inside the knife block. 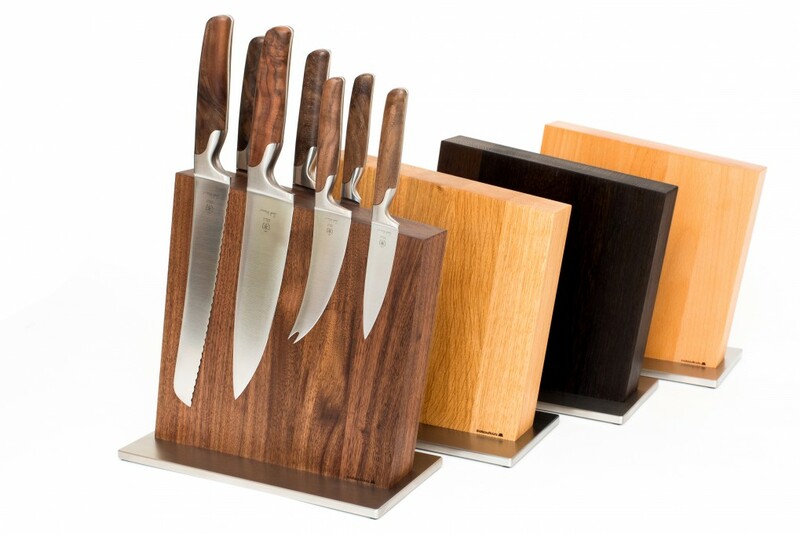 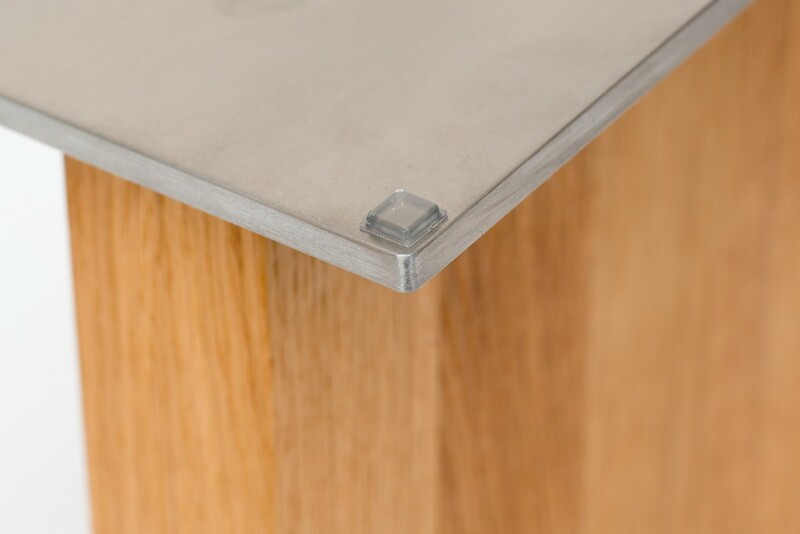 A heavy sheet of stainless steel makes for a safe stand. 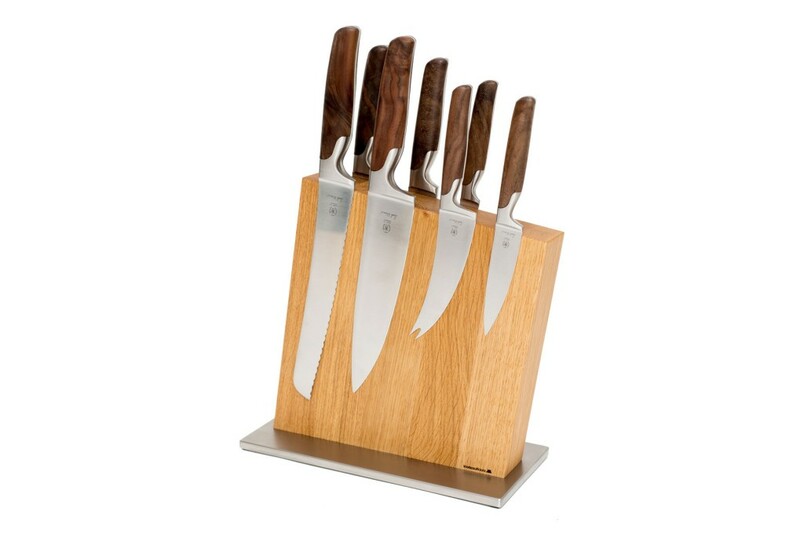 The combination of wood and stainless steel creates a great focal point in your kitchen! 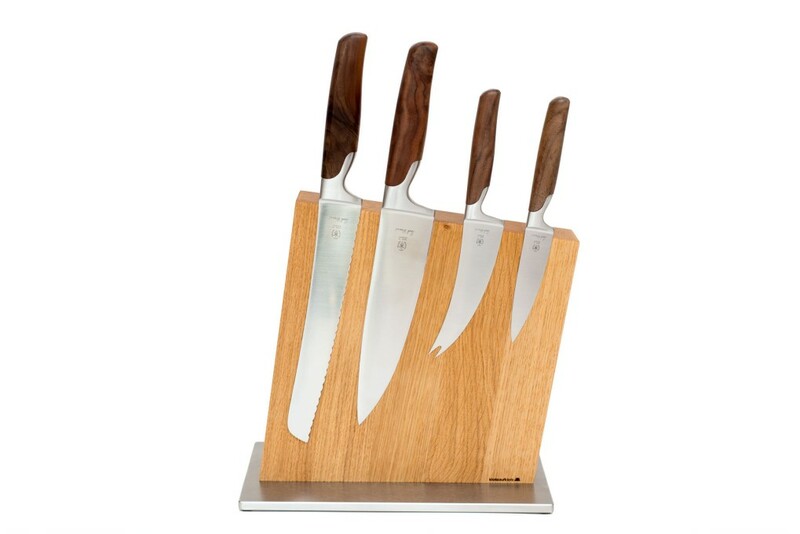 A correct way of storing knives is essential not only for safety reasons but also to protect the blades. 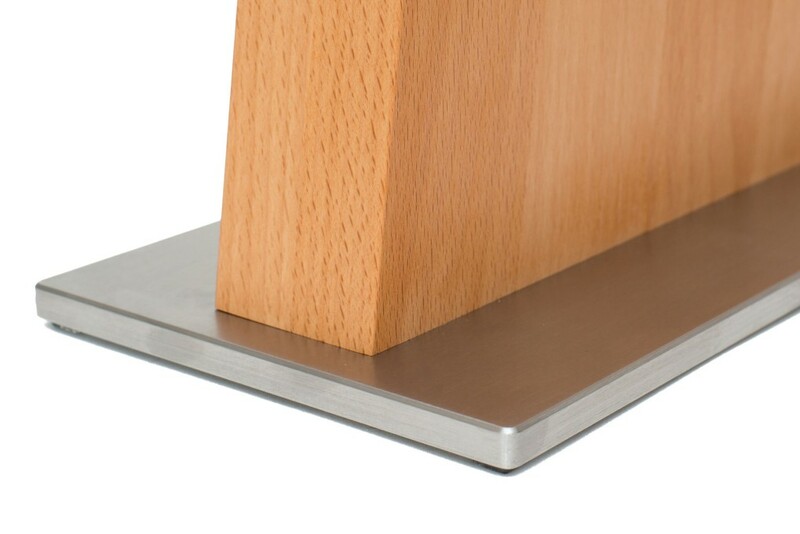 Rubber nubs attached to the bottom of the product protect your kitchen surface.